Understanding these eight organizational principles will help protect students and staff. It’s one thing to have a policy in place if sexual abuse occurs on a K-12 independent school campus, but “abuse is preventable; it shouldn’t be treated as if it’s a natural disaster,” according to Aaron Lundberg, president and CEO of Praesidium. 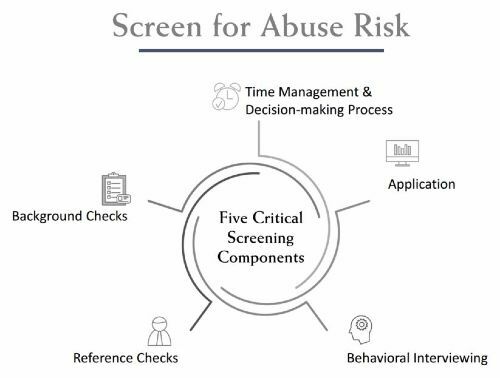 In a recent webinar for independent school CFOs, HR directors and other risk management leaders, he outlined the prevalance of sexual abuse among children, policies for protecting students and employees and responding to incidents and allegations, and screening techniques that can help schools identify job candidates who may be likely to cross boundaries or even abuse students. The full webinar recording, slides and transcript are archived on NBOA.org (NBOA members only). For D.C.-area schools: On October 26 and 27, Lundberg and NBOA's Grace Lee will be deliver two free in-person "lunch-and-learn" presentations on preventing campus sexual abuse. Oct. 26: Roland Park Country School. Oct. 27: Holton Arms School. For Boston-area schools: Lundberg and Lee will also present on this topic at Business Office NOW, a two-day workshop in Boston (Nov. 15-16). 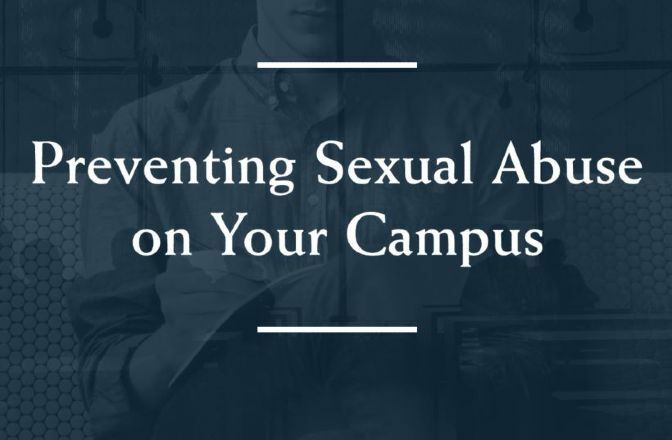 Praesidium helps schools develop policies and procedures to prevent sexual abuse on campus. Using root-cause analysis of incidents of sexual abuse in organizations, Praesidium determined that causes are clustered in eight organizational operations: policies; screening and selection; training; monitoring and supervision; internal feedback systems; consumer participation; responding; and administrative practices. Lundberg used the example of a teacher meeting with a student alone behind closed doors. This might happen 20 times and be perfectly fine. They discuss a problem the student is having. The teacher feels good about helping the student. But after the 21st meeting, the student accuses the teacher of something and the teacher gets painted as someone who often meets students behind closed doors. All of the teacher’s actions become suspect. Lundberg also cited statistics that show a majority of child molestations are committed by juveniles. “For each incident involving an adult, seven incidents of abuse occur by a student,” he said. Schools have high-risk areas that can be better monitored to prevent student-on-student abuse, such as bathrooms and locker rooms. Neither space can have cameras, but “if there’s a teacher at the doorway, it’s less likely that kids will sexually act out in [those areas],” Lundberg said. Schools should have written policies and procedures that are always adhered to and followed. This way, employees can help each other be accountable. Other employees do not have to wonder about someone else’s “red flag behaviors.” If a colleague is overly affectionate with a student, for example, another employee can go to administration to discuss a policy violation. Policies should clearly define boundaries between adults and students – what are appropriate and inappropriate physical boundaries, ways to communicate electronically and in one-on-one interactions. Policies and procedures should be written down, and all employees (and sometimes volunteers) should read them, acknowledge they understand them and sign off on them. There should also be physical training as well as online training to help employees understand the root causes of sexual abuse and employees’ role in prevention. Schools “want to get out of the child molester detector business. Schools need to define good behavior that’s realistic and culturally relevant [to an individual school],” Lundberg said. Access the full webinar recording, slides and transcript on NBOA.org (NBOA members only).